This little Mermaid is set for an underwater adventure! 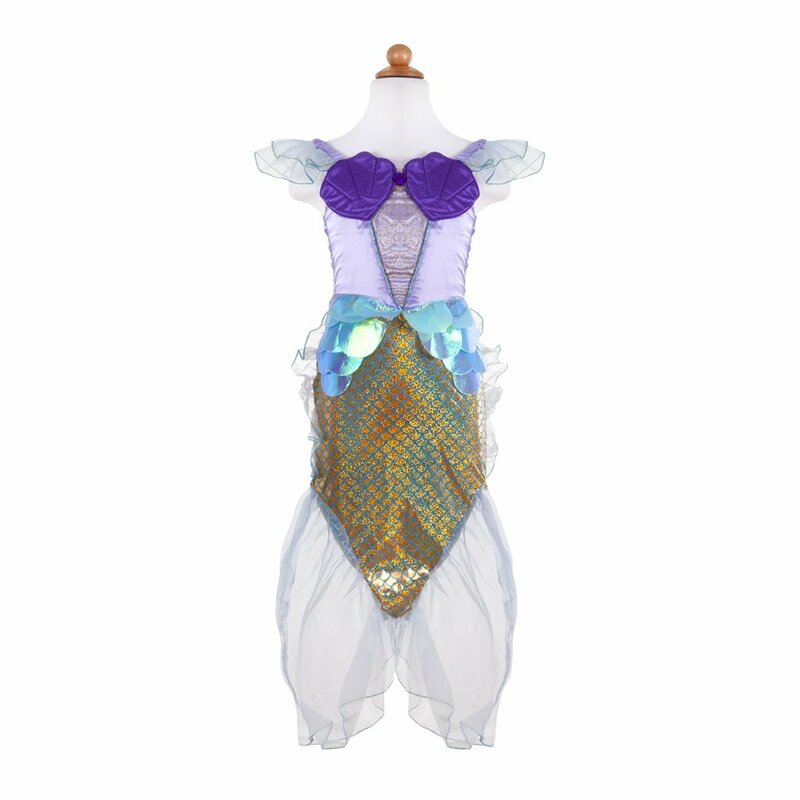 This two piece costume features organza fins and a satin top with detailed shell stitching. The straps are encased with elastic for a comfortable fit. The smocked satin back allows for ultimate size flexibility. 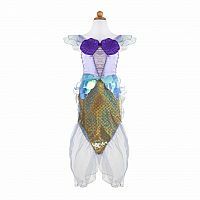 Liquid knit spandex is printed with a holographic print making this dress the ultimate sea princess and the matching headband features an oversize matching satin fabric flower with gem. Recommended for ages : 5 to 6.